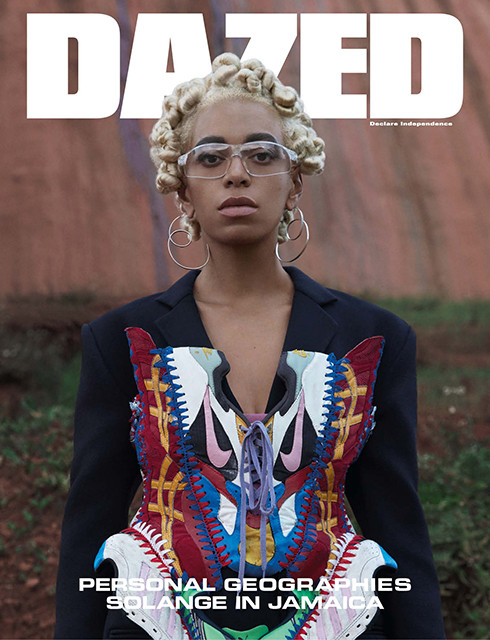 After rocking out on stage during Beyonce’s EPIC Coachella performance, Solange graces the cover of DAZED magazine’s Spring/Summer 2018 issue. And the eccentric free spirit pays tribute to her “spiritual home” in Jamaica. 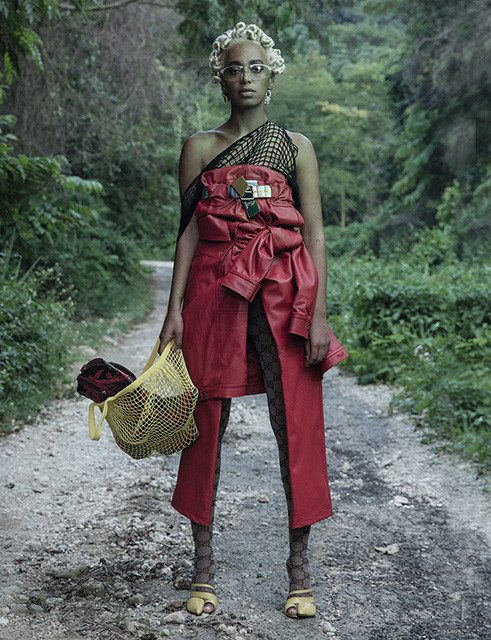 In the issue, the “Cranes In The Sky” singer pens a poetic seven-part thank you to Jamaica, sharing her favorite memories on the island, accompanied by a photoshoot shot on location. You see, Solo has a special connection with Jamaica. Especially, St Elizabeth. The Grammy Award winner has been spending a lot of time on the island as she creates new music. 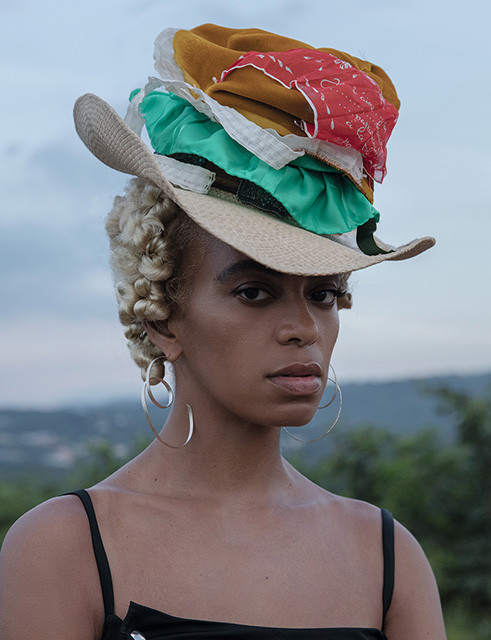 Once she gets in her zone, she says she always feels a bit “unbalanced.” And that’s probably a good thing because her album A Seat At The Table was FIRE. You can read her full interview when her issue is released tomorrow, April 19th. Since she’s always “buzzing” that means she’s always working. And not just on music. She fully embraces everything artistic and she’s now interested in “activating” spaces as she designs performances for museums and galleries. The 31-year-old singer-songwriter-turned-artist is taking her visual art game to the next level. She recently premiered her new visual art piece -- interdisciplinary video and dance performance – at Los Angeles’ Hammer museum. The visual art piece highlights a new sculpture, titled Metatron’s Cube, that she conceptualised and created to create. The cube will travel across the nation to be put on display. 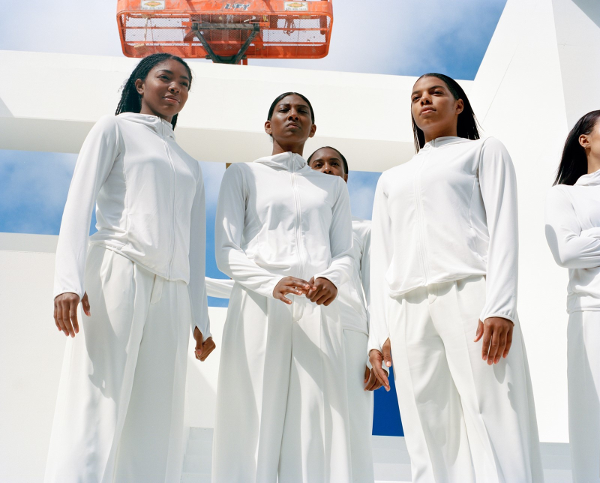 Solo directed the dance video in partnership with Uniqlo. And of course, she choreographed the dance routine (in collaboration with Gerard & Kelly) that features dancers from California State University.